It is Visak Bochea in Cambodia. I had the day off. I haven't met these two since ages ago. So it was a good opportunity to catch up. Cheat was locked at home since her parent were gone to Pagoda. 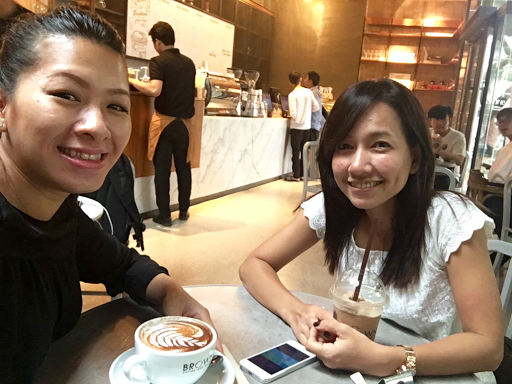 So I and Nha met for coffee at Brown Norodom prior to our dinner. 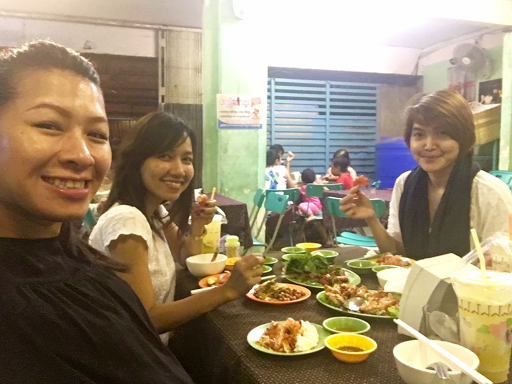 Finally, we three met for our usual treat, the spicy grilled crab. YUM!! !